I've been getting more and more separated from blogging. Which I don't like but days will go by and I suddenly remember that I haven't posted anything. I have some Big Topics floating around in my head but haven't gotten them into usable, written form yet. Work. Work is immensely better. I am busy all day but having a specific job to do makes work more purposeful again. I still really like my new boss - she does things like calling just to let me know I handled something well or sending an email out to higher managers just to toot my horn. I got to work from home one day last week - it's great to have that option and good to know I can make it work. And also good to know that I generally prefer to be in the office. Jeff. Jeff's great. I can't speak for him, of course. But we're doing fantastic! I love the guy, what can I say? Zach. Zach is still my sweet, loving boy. He's growing - literally and figuratively. I sometimes feel bad because so much attention is demanded by his big sister that it's easy for him to be swept to the side, off the radar. I'm also much more disconnected from his school - Jeff is the primary contact since he takes him and picks him up. We have decisions to make about his schooling very soon - he will be going to the public school that Teagan currently attends. He has been in a kindergarten class this past year in a private setting. We need to consult with his teacher and the head of the school to see if they think he needs to repeat kindergarten or if we should pursue having him tested to go into first grade. I don't know how he will do if kindergarten ends up being a lot of repeat for him. But I also don't want to push him into being in a grade too advanced for him socially. Teagan. She's my challenge. I try my best to love that about her but challenges are called challenges for a reason. She pushes limits, she holds things in, she has anxiety, she wants to be perfect. The past week or so has had a daily onset of crying, not wanting to go to school, feeling like she's "less than" other kids. She's got high highs and low lows and some perfectly average times, too. We've got things in place to address - looking to meet with her teacher, trying some herbal things. But she's smart, she's bright, she's funny, she's a spark! Healthy Living. It's an ongoing, every day thing, right? Some days I do great, some days I really struggle. Still having a lot of difficulty finding time to actually exercise. But I want to be more active so that's something, right? Hopefully I will be able to sit down and start getting some of the things tumbling about in my head out into written words. Feel free to leave me blog post ideas! Heck - just leave a comment to say hello! I posted this in 2008 and again in 2012. And now again in 2013. This was a little sign that I used to have hanging in my office when I was a social worker. I've been thinking a lot about risk lately. There have been circumstances in my personal and professional life where I have stuck my neck out... almost expecting to get hurt... So far, it has turned out fine each time. But there is that period of time from when you make the choice to when it's over and done and you are waiting to see what comes of it. Using new rules. In my 13 years with my company, we have never had a "work at home" policy. It simply wasn't how things were done. When I was first hired, that was company wide. Once we were purchased by a much larger company that did have flex time and work from home opportunities, it became a policy of our department to have set hours, work in the office. Period. No exceptions. Now I have a new boss. And I'm part of a new department. And there is a new rule. I can work from home up to 2 times per month with no questions asked. And I took advantage of that on a day that Teagan didn't have school but Zach did and Teagan had a cheer performance 40 minutes away and we had to be there by 5:30. If I'd been at work and left around 4:45... I would have been lucky to get home by 5:30. I would have had to make arrangements or pay for child care for Teagan. Instead, I set up my desk at home. I explained to Teagan that it wasn't a "fun with Mom" day but that it was a day that I had to keep doing work. And it worked out really well. And because I was at home and because I have flexibility with my hours, I was able to be done with my day in time to pick Zach up from school, pick up Teagan's friend, and get to the performance in more than enough time. And even thought I personally benefitted from this new rule... there was a bit of nervousness about what the consequences would be, what the fallout would be, or finding out there wasn't really an allowance to work from home. But I took the risk and it turned out just fine. Expressing feelings. I had a situation where I felt I hadn't been treated fairly. I was supposed to be part of a team and I wasn't treated like a team member at all. In the end, I attended one meeting and was never contacted again until right before the event we had been on team for. I then contacted the leader and explained that I hadn't been contacted, trained, communicated with at all in the previous 3 months and, therefore, would not be serving on this team. In sharing my experience with others, I was encouraged to share my story "higher up" so that those who plan these events would be aware of the missed opportunity. I put together a carefully worded email and sent it to some of the board members. And now I'm in that waiting period - what if I offend? What if this puts me on the naughty list and I'm never asked to be on this team again? Sticking to my pruning. Back in December, I had to make some changes. I had to cut some things I was involved in so that I could focus on the things that are most important. I have recently had some circumstances where I had to say no to people... and that was really hard. I had to take a risk - risking disappointing a friend, letting down a ministry, hurting someone's feelings. I've been fortunate that the people I have to say no to do understand and there hasn't been any damage... but there is that period of time, waiting for the response... that I feel like I may have risked too much. There are situations each day where we take risks. Sometimes the risk is big, sometimes the risk is small. "Chained by their certitudes." That line sticks with me. When I choose not to risk, I am deciding how the other person is going to react. I am determining that I "know" how they will respond. I am allowing myself to be chained by my assumptions, my certitudes. To risk means I might get hurt... but it also means that I can live completely as my true self. If I'm willing to take the risk. Be FIT Crew: Making Exercise FUN! Come find me with the Be FIT Crew today!! Share your ideas for fun workouts! Growing up, the idea of "giving something up for Lent" was foreign to me. Somewhere along the line, I heard about Catholics who would give something up and who would also not eat meat on Fridays (instead eating fish). I didn't get it. In the past decade, it seems that "giving something up for Lent" has become a pretty popular idea. So popular that even those who aren't Christian have begun to follow it. I've never felt an inclination to give something up for Lent. Still don't. I have several friends who have posted on Facebook about what they are giving up for Lent. People are posting about giving up chocolate, soda, diet soda, artificial sweeteners, sugar, alcohol, and even Facebook. Each year, as the sharing of Lent sacrifice begins, I often wonder... do people fully recognize what a Lenten sacrifice is really all about? I've never felt a call to give something up for Lent. I've never felt a call to fast from something. Both are spiritual disciplines with a similar purpose - to draw closer to God. My understanding of Lent sacrifice (or penance) and a chosen fast at any time of year is that there should be 3 main components to this holy time. 1. Drawing closer to God through prayer. Spending time each day in prayer, spending additional time reading the Bible or in devotional study, stretching beyond your current prayers. Try different kinds of praying, try singing while you pray, pray a few verses of a psalm, pray song lyrics, pray a mantra, pray without words. During Lent, prayer should be focused on seeking forgiveness - recognizing our own sins and seeking forgiveness and strength to not repeat them. 2. Drawing closer to God through personal sacrifice. This is the penance of Lent - giving something up. It's not supposed to be fashionable or light hearted or fun. It is often used as a way to reboot our health choices these days but I think the main idea of the penance is to give up something that will actually hurt and that you will add back. It's giving up a luxury. Generally, you aren't giving something up to benefit yourself. You aren't giving up sushi so that you are spending less money. You aren't giving up diet soda because there is nothing of nutritional value in it for you. The sacrifice should be something you are giving up for God. It should be something that hurts- and something that isn't just replaced by something else (giving up Facebook but then spending all your time on Pinterest, for example). And again, the sacrifice is tied to our sins. We sacrifice as a way of punishing ourselves for our sins, as a way of demonstrating that we recognize our wrongs. 3. Drawing closer to God by giving to others. I believe this is called almsgiving. Purposefully taking action to help others. Take dinner to a friend who has had a house of sick kids. Take a friend out to dinner who has been going through a hard time. Send thoughtful cards to friends and family to say that they are loved. Buy bags of new socks and roam downtown and hand out socks to the homeless. Organize a food drive for a local food pantry. Step outside of your comfort zone to each God's children that you might otherwise disregard. Seek to be aware of the needs around you and then do something to address them. And here's the thing... through these 40 days of Lent and prayer and sacrifice and giving... once Easter comes, you don't just stop. These 40 days are a time to realign your faith. To strengthen your spirituality. To build on your relationship with God. That doesn't just end after 40 days. There should be learning and challenge and growth and change that occur. And maybe that's why I don't specifically give something up for Lent. While I don't spend 40 days very specifically focused on prayer and my sin and sacrifice and penance and giving to others... I do feel that these are things that are part of my ongoing relationship with Christ. Am I perfect in them - no way. But am I working to grow in them all the time? And not just during Lent? Absolutely. Do I see the value in fasting or penance? Absolutely. I just hope that those who are publically sharing their sacrifice are just as willing to publically share their prayers and their giving. Or that those who publically share their sacrifice are privately sacrificing something else - something that is just between them and God and not about wearing their Lent Badge for 40 days. Maybe because it feels like Lent has become trendy that I haven't felt a draw to participate. I have friends that have even come to me and sought out some spiritual guidance in determing their plan for Lent. I admire and respect that - those who take it seriously and who aren't afraid to share how seriously they take it. How do you recognize the season of Lent, if at all? Do you practice prayer, penance, and almsgiving? Were you raised in these traditions or is this something you decided to do on your own? Do you have a spiritual foundation in your choices? Tonight is a first for our family. Jeff is taking Teagan to a father daughter dance. In the past, we've always found out about these possibilities after the event. This year, we got the information on time and signed up. I'm very excited. And I won't even be there! As a kid, I didn't have a dad. This isn't some sad story about all the little girls going to the father-daughter dance and I was left out. I don't recall ever even hearing of such a thing. But the fact is that I didn't have a dad so if there had been a father-daughter dance, I wouldn't have participated. Or I would have gone with one of my mom's friends. I remember wanting a dad so badly. I remember asking one of my mom's dental school friends if I could just call him dad. He was funny and warm and everything I imagined a dad would be like. So to send my little girl and my husband off to an event that celebrates the special relationship between a little girl and her daddy warms my heart and kind of pierces it a little, too. It makes me realize how important having a dad really is. Yes, we can all survive and thrive in single parent home. I'm not knocking single parents or growing up in a single parent home. But I do want to pause and celebrate what it means for a little girl to have her dad... and I hope these are things that Jeff and Teagan can celebrate because they have each other instead of realizing the value of their relationship because it doesn't exist. A girl's relationship with her dad is the first opportunity for her to feel how a man should love. Dads teach their daughters that men can be soft, gentle, and vulnerable. Little girls bring that out in their fathers. Which means that dads are learning from their daughters how it feels to be soft, gentle, and vulnerable. A girl's relationship with her dad teaches her about feeling safe and protected. Little girls should feel that their dad would and will do anything to keep them safe from harm, will face any danger, will always come to their aid. And dads learn what it means to be a superhero, to be brave, and to have courage in the eyes of another. A girl's relationship with her teaches her about trust. A dad's word should be gold - whether it's about following through on consequences or about keeping promises to go get ice cream. Men learn from their daughters that their words and actions form a relationship. A girl's relationship with her dad teaches her that she is lovable, valuable, beautiful, honored. Dads learn how to show their little girl that she is lovable, valuable, beautiful, and honored. A girl's relationship with her dad should become her standard for future relationships. She should learn from how he treats her, how he loves her, how he loves his spouse, how he values his family... and she should be seeking that in her own relationships. Because I didn't have a dad, I think I'm more sensitive to the relationship between my husband and my daughter. I catch the moments when she looks at him with admiration and love. I catch the times that he takes a moment to kiss her forehead while she sleeps. I'm more aware of the times he goes out of his way to take her forgotten lunch to school or missing out on his own schedule so he can see her cheer performance or he arranges his schedule to pick her up early. Tonight might be just a dance... but it feels like so much more. Coming out of a trying year, I'm excited that I've been feeling my passions again. Passionate about healthy and natural foods. Passion was lacking in the past year. There wasn't energy for it. And if I did find a spark... life quickly took over and the spark died. I've been trying to figure out the words on how I got my spark back, how I found my passions again. I think facing the word "Depression" made a difference. There had been physical signs of the stress - from my weight gain to my blood pressure and my dentist even noticed a difference in my gums. I knew those physical signs were major indicators of a problem but I didn't feel like I could control the situation to make improvements. But realizing that the stresses were impacting my mental health in a real way made it hit home. I spent a lot of time praying last year. My prayers weren't for a specific outcome. But praying for strength and guidance and seeking happiness and things like that - those were my prayers. I prayed for change. I prayed for wisdom. I prayed to be open to see opportunities. I certainly wasn't always patient - but I was always faithful. When I finally asked for help... for real help... something snapped inside. If there was some way to sell it, to bottle it up, to make a pill that captures that snap... It was the same stuff I'd been telling myself all along. "Things will get better." "You can only do so much - know your limits." "You have to take care of yourself first." "It's ok to set limits." But when the "snap" happened, all the words suddenly became reality. I knew I had to truly take care of myself and set limits with my stressors. To take care of myself, I had to change my diet and I had to get active again. To set limits, I had to be okay with leaving at the end of the day without getting things done. Almost one month after the "snap," changes actually happened at work. Our department has been realigned, my job title has changed, I'm in a new department under a new boss, and my job has scope and focus (and limits). What's most important is that I was already taking charge of me before the job changes happened. I took charge of me. Changes happened at work. And my passion has returned. 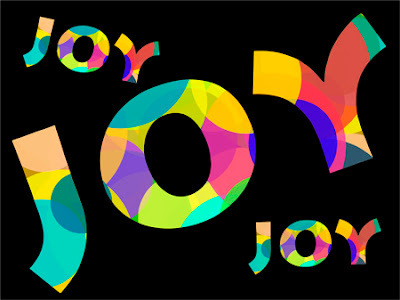 Life can be full color, fueled by joy. The Be F.I.T. Crew is a new social media presence that aims to inspire others to live a healthier lifestyle. Food that Nourishes our Bodies. Eliminating the junk, the cravings, the empty calories and focusing on food that is nutrient dense and provide our bodies with the vitamins and minerals and healthy calories we need to fuel ourselves throughout the day. Inspiring Ourselves and Others. Connecting to others on this same healthy lifestyle path. Some have it locked in and it is just the way they live every day. Some are just starting out. Some may be at a healthy weight but are still sick inside and need to get active. Some are very overweight and seeking to just take the first few steps. The bottom line is that the best way for any of us to achieve our goals is to have support, inspiration, encouragement. Training for an Active Lifestyle. Get up and get moving! Find time every day to move your body. Maybe you're training to run a marathon or compete in an Ironman event. Maybe 15 minutes walking on a treadmill is what your body can give you right now. But to be active, you have to get active! I'd love it if you would head over to the blog and follow. Like us on Facebook. I'm still going to be sharing my health journey on Eternal Lizdom but I'm really wanting the Crew to become a place where people come for inspiration and to connect with others on the same path. But I think you'll like getting to know Leilan and Monica and I'm excited about the possibilities we're lining up for guest bloggers and giveaways. Come join the Be F.I.T. Crew! If you would like to get involved with the Crew - we are actively looking for giveaway opportunities, guest bloggers (are you a nutritionist? trainer? physical therapist? have an awesome personalstory to share? ), and could use some design help (we need a logo!). Just drop us an email! There are some great ways to get more veggies and fruit into your diet. Smoothies have been a nutrient powerhouse for Jeff and I for the past few weeks. He uses several blends of frozen fruit and some fresh spinach. I use mostly fresh foods with a little frozen. I like to use unsweetened kefir and add in a banana, a cup of blueberries, 2 handfuls of spinach or kale, frozen peaches, frozen cherries. I also add in a tablespoon of coconut oil. This will actually sustain me until about 11:00. For lunch, I've been hitting a local grocery store that has a great salad bar. Fresh spinach, raw broccoli, cauliflower, shredded carrots, hard boiled egg, celery, cucumbers, sunflower seeds. Indulge in some ranch dressing or go for the ginger vinaigrette I keep at work. But smoothies and salads can get a little... repetitious. Sunday, I wanted soup. I've been ordering soup in restaurants - after asking questions or doing online research ahead of time. Fire Roasted Veggie Soup at McAlister's is a great choice. I look for broth based, loaded with veggies, limited on pasta (or I eat around most of the pasta). I just made a big pot of soup, had some for dinner, and am eager to have it for lunch this week. I used 32 oz of chicken stock, 4 cups of water, 3 tb of onion base for my broth. Then I added in about 1 cup of a whole grain medley I got at Target. It has brown rice, rye, bulgur, red quinoa, wheat, wild rice. I let that simmer for a bit. And then I stopped measuring anything. I added in a bunch of leftover chicken. I added in cut up baby carrots. I added a can of tomatoes with chilies. I drained and added a can of black beans. Throughout all the steps, my soup simmered for about 2 hours. I got a bowl. Whenever I make soup, it ends up being heavy on the ingredients and light on the broth - which is fine with me. I ladeled up some soup and added in a small handful of fresh baby spinach and stirred it into the hot soup. Then I cut up some fresh cilantro all over the top. It was delicious. And I got spinach, carrots, tomato, chicken, and cilantro.